With BMW tires, you have to take certain steps in order to get your tire replaced if you are going to take advantage of the program at participating BMW Tire Centers. With the Road Hazard Tire Coverage, you can experience these benefits without any hassles. You do not have to worry about getting the run around. The first step is to present your tire to the participating tire center with the invoice. Afterwards, your tire may be put through an inspection process. This may require you to provide the DOT number for every tire you are going to replace. You want your BMW to remain in top condition, and BMW has several packages that can help you keep on top of maintenance. Everything from oil changes to replacing the rugs in your vehicle can be done through BMW. With the BMW Ultimate Care+ packages, you can choose the level of service that you would like. You can choose between five different levels of coverage, and this can save you up to 30 percent on some of the most common types of maintenance. When it comes to brake pads or any type of vehicle parts, one of the worst things you can do is to put off repairs to save money in the short-term. Making an attempt to save money can result in you buying something that is not only low in quality, but also dangerous for your vehicle. For the best type of safety in fixing your brakes, our BMW service technicians are willing to work with you on finding the right brakes for your vehicles. We at BMW of South Albany love to teach our community about winter driving and safety. Part of winter driving is making sure that your vehicle is ready for the cooler temperatures and any harsh driving conditions. Planning ahead will help you stay prepared when temperatures start to drop. Make a list of fluids and filters that you need to change or check. You should also have your battery, tires, tire pressure, heater/defroster, brakes, and lights checked to make sure they work properly. Many drivers don't give a second thought to the filters in their car's engine or cabin, yet both types must be changed regularly in the same manner that oil filters are changed. Cabin air filters clog slowly, so you may not notice the reduced flow inside your vehicle. 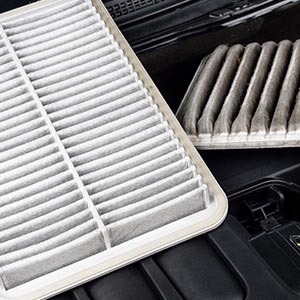 Your engine will notice when its air filter is clogged. Engines can't breathe as well and give off indications that it needs to be changed. A clogged engine air filter can result in reduced acceleration or increased noises when the fan is running. If you drive a car, you know that it needs oil. But, do you know that viscosity rating is best for your vehicle, and why? Viscosity is the thickness of a liquid, or how easily it runs when poured out. Water pours easier than molasses, for example, and is less viscous. Oil viscosity is affected by outdoor temperatures. When it gets cold outside, oil has a higher viscosity. Hotter weather means lower viscosity. There are a lot of factors that go into how long tires would last on your vehicle. One of these factors is the alignment. You have to make sure that your tires are aligned. Without proper alignment, you are going to have quite a few issues with your vehicle. One of the things that are going to happen without properly aligned tires is that you are going to have to switch out your tires a little more. They will wear out faster and in different ways. For a safer car that operates to its highest potential, keeping your tires inflated to the vehicle manufacturer’s specifications is essential. Do you have a service schedule in place for your vehicle? Continue reading to see why having one is ideal! Winter is finally over, time to get your car ready for summer!